More and more factories in China turned to rugged smartphone and tablet manufacturing, since consumer market competition is becoming quite fierce. Rugged hardware manufacturing processes are nothing like consumer products. When assembling consumer-level devices, all a factory needs to do is to recruit engineers to test and design, hire experienced workers, prepare SMT machines, and prepare final assembly. For rugged handhelds and tablets, there are more things to consider. They must be water tight and drop resistant. Also, there is a balance between function and design. With their large batteries and thick protective cases, rugged devices can be quite ugly. Good looks can be hard to come by. What factors should besides industrial design should an importer consider when identifying a product to import? There are at least four of them. 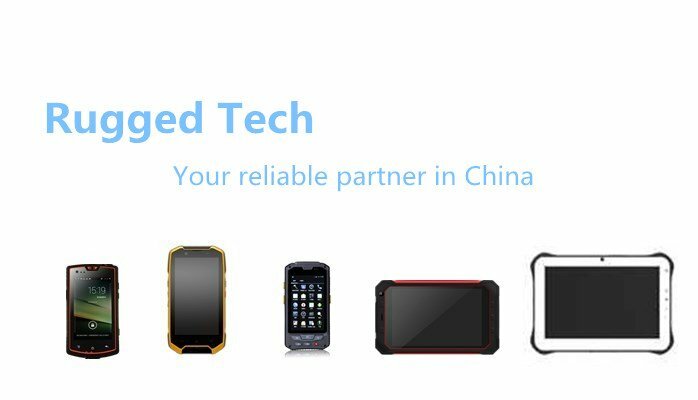 How to tell whether a rugged phone or a tablet is good or not? There are many testing machines that can be used, but the most effective way, I think, is to use a trial device for a couple of months. Torture it as much as you can. If the factory claims it is IP 67 or MIL-STD-810G, then it should tough enough to endure in water and a drop from 1.5 meters. The strong can survive such treatment, and keep working long afterward. Next, for production quantities, a suitable sample plan and inspection criteria needs to be applied before shipment. Chinese salespeople are good at promoting and saying, “Yes.” It is possible for several companies to import the same device, rebranded to different names. The rugged mobility market is actually quite small. If everyone in the market is promoting the same product by different names, profit will drop dramatically. People will think the hardware is cheap, when actually it is quite expensive to produce. Whenever you decide to rebrand a rugged hardware, do some brand research first. Cooperate with a factory that really obeys the single distributor rule. Price is of course important. However, it is wise not to spend too much time finding the cheapest manufacturer. They can offer the lowest price, without a doubt. Even more important, however, is the service level. How well do they communicated? What level of quality control can they offer? How well do they respond when product questions or problems come up? All these things cost money, and all of them are worth spending for. A little more cost can gain a reliable partner who speaks and writes clearly, who can help communicate problems, and who will quickly negotiate obstacles. Even if this person is a broker who must increase price a little, it can be a good investment to order from him or her.